Whether you’re new to driving off-road or a veteran 4-wheeler looking to learn advanced skills, these schools offer some of the best 4x4 driving instruction anywhere. 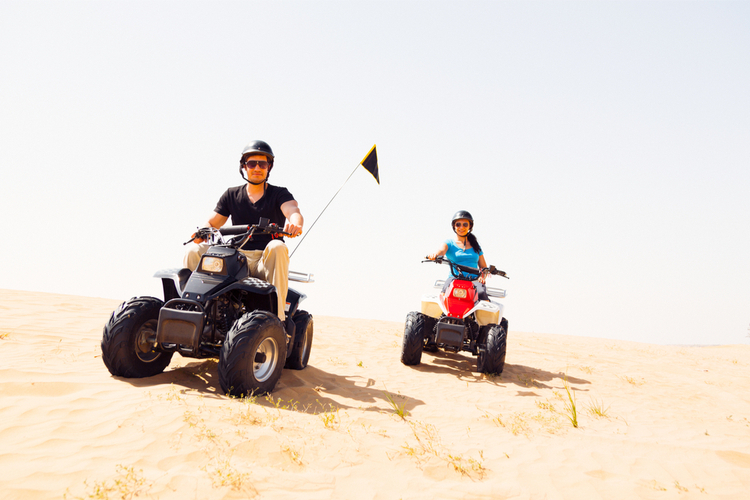 Four-wheeling is a hands-on experience. You can gather a lot of driving tips from online stories, magazine articles and books, but to really get a sense of how your 4x4 works on the trail, nothing beats getting out there and doing it yourself. Yet heading to your local off-highway-vehicle area without any previous trail time is akin to jumping in the deep end of the pool without swimming lessons: You may survive, but it’s not the best or safest way to learn the technique. 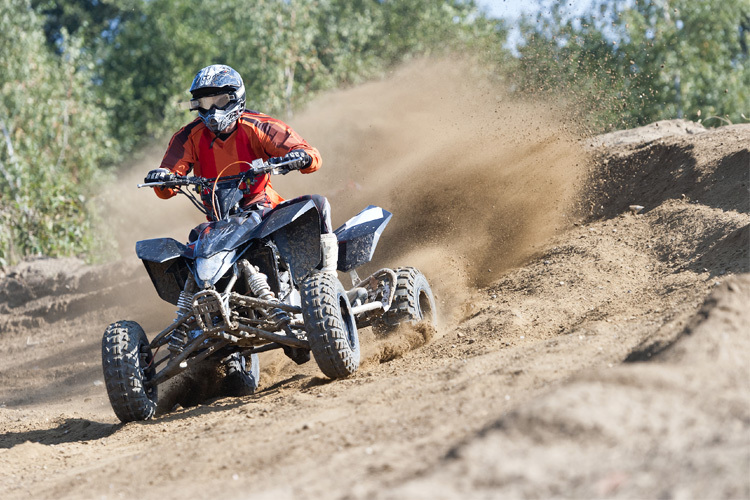 Fortunately there are a lot of options open to newbie off-roaders (and more experienced ’wheelers who want to sharpen their skills or tackle new terrain). 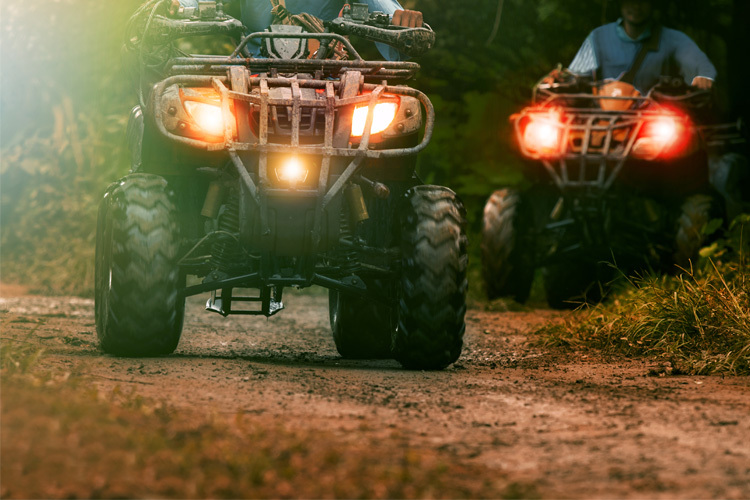 Joining a club and throwing in with like-minded locals will introduce you to the four-wheeling opportunities in your area. Signing up for an organized trail ride, like one of the many Jeep Jamborees around the country, will likewise put you with a knowledgeable community willing to help you negotiate the trail. Even better, take a class from one of the many off-road driving schools located around the country. Here you’re not just tagging along hoping to learn driving tips. Instead, your off-roading experience is the focus, as instructors walk you through the basics of vehicle control and how to read terrain. Most of these classes include info on vehicle prep for the trail, what to bring (for you and the 4x4) and even how to get un-stuck when the inevitable happens. Class lengths range from an afternoon to multiple days. Once you have the basics down, many of these schools offer advanced training, on topics like winching, negotiating specific terrain types, and even skills like geo-caching. While some schools offer 4x4s for student use, many will teach you in your own vehicle, which we highly recommend. There’s no better way to learn the handling, throttle response and other particulars of your rig than with an experienced instructor spotting you or riding shotgun. And with many schools offering instruction on Forest Service lands and in other scenic off-roading areas, adding a day’s instruction onto a road-trip can be just the thing to build a vacation around. Here are some of the top schools around the country. 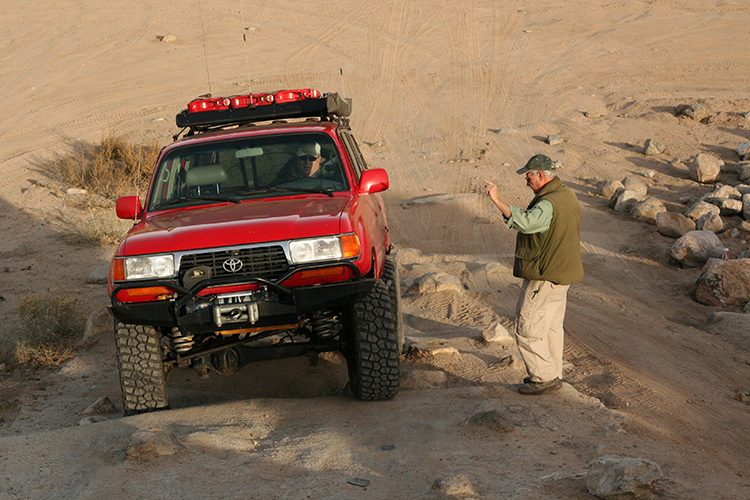 Its Southern California base allows Badlands Off-Road Adventures to offer clinics year-round. Many of them are held in the Los Padres National Forest north of Los Angeles (an easy drive from LAX and other area airports), but classes are also held in the Anza-Borrego area between LA and San Diego and along California’s Central Coast. The Getting Started clinics are aimed at first-time 4WD owners, while the Rocks and Sand clinics teach skills specific to those terrain types. Other specialized clinics cover winching, vehicle recovery and tire repair. Women-only clinics are available, too. The company also hosts multi-day trips to some of the Southwest’s bucket-list off-roading areas, including the Rubicon Trail, Moab and Death Valley. In addition to teaching four-wheeling basics, Badlands Off-Road Adventures offers specialized clinics on negotiating rocks and sand. Quick Tip: Every driving school we’ve attended, both on and off the pavement, preaches this fundamental tip: Look up. Don’t fixate on the rock ledge or muddy rut right in front of your 4x4. Instead, look ahead to plan for the next obstacle, keeping the one closest in your peripheral vision. That helps you set up the vehicle for the challenges to come, reducing your risk of getting stuck or banging sheet metal as you transition from one to the next. The Land Rover Driving Experience is not just for Land Rover owners, though they do get a discount on the programs. Four North American Experience Centers (Carmel, California; Asheville, North Carolina; Manchester Village, Vermont; and Montebello, Quebec, Canada) offer a range of “Driving Experiences” that put you in a Land Rover for anywhere from an hour to a full day or two. Instructors teach “skills for every season” and expose drivers to a variety of terrain, from slick wet grass to mud and rocks. Those who already have off-roading skills can take full-day classes covering Advanced Off-Road Techniques and Winch & Recovery Techniques, or a two-day course with customized coaching. If you like your Rovers old-school, a Heritage program allows you to have these Experiences in a Defender 90, Discovery or Range Rover. 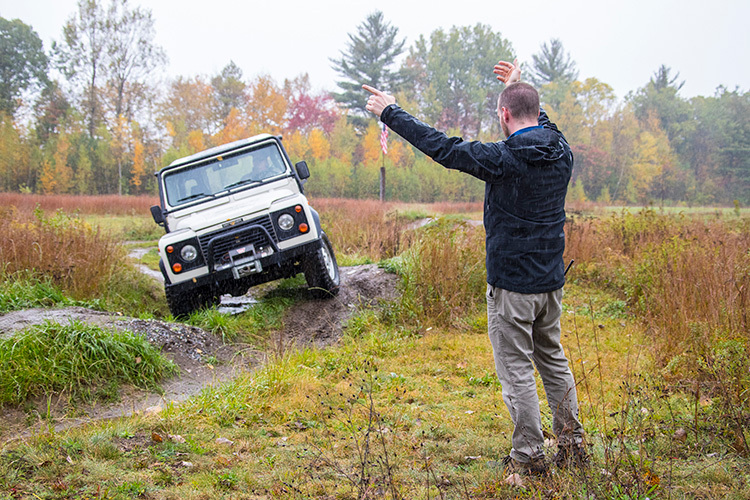 A student in a Defender 90 learns the fine art of negotiating ruts at the Land Rover Driving Experience Center at the Equinox Resort in Vermont. New York’s Catskill Mountains are the home to Northeast Off-Road Adventures, with a training center in Ellenville that’s just 90 minutes from New York City. NORA classes include beginning and advanced driving skills, plus specialized training in the use of winches, Hi-Lift jacks and other recovery equipment, even emergency survival. Public classes can accommodate up to 15 vehicles (bring your own or rent one from NORA), semi-private classes are for two to four vehicles, and private lessons are available that are custom-tailored to the student’s needs. A second NORA location at the Hunter Mountain Ski Resort offers one- and two-day adventure tours, including special tours during peak fall foliage season. 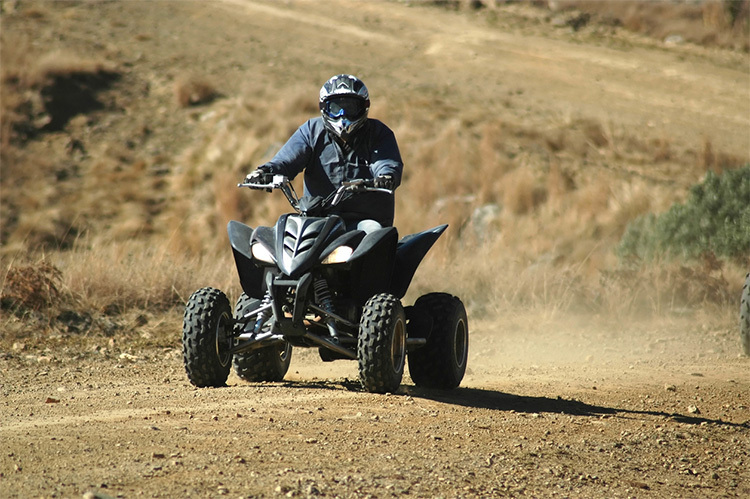 The Hunter Mountain tours are BYO4x4, and the vehicles need to be street legal, registered, insured, and fitted with frame-mounted recovery points front and rear. Northeast Off-Road Adventures teaches off-roading skills on a private, 68-acre facility in Ellenville, New York. 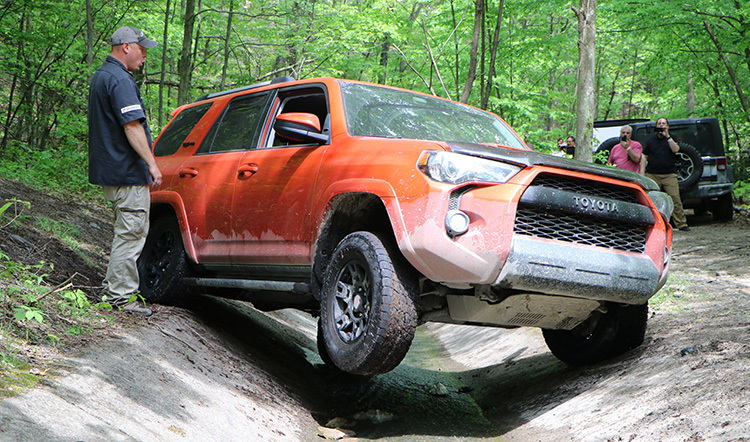 Off-Road Consulting promises “zero classroom time” during sessions at Pennsylvania’s Rausch Creek Off Road Park, Anthracite Outdoor Adventure Area and Famous Reading Outdoors. Students start with the six-hour 101 Driving Experience, a family- and stock-vehicle-friendly course focused on four-wheeling basics. The next step is the six-hour 201 Driving Experience, which builds on those skills with advanced driving techniques and specialized instruction on spotting, vehicle recovery, and how to best use locking differentials. The 301 Driving Experience tailors the program to suit the individual student’s goals. There is a class specific to winching techniques, and one about the preparation and skills needed for overlanding. 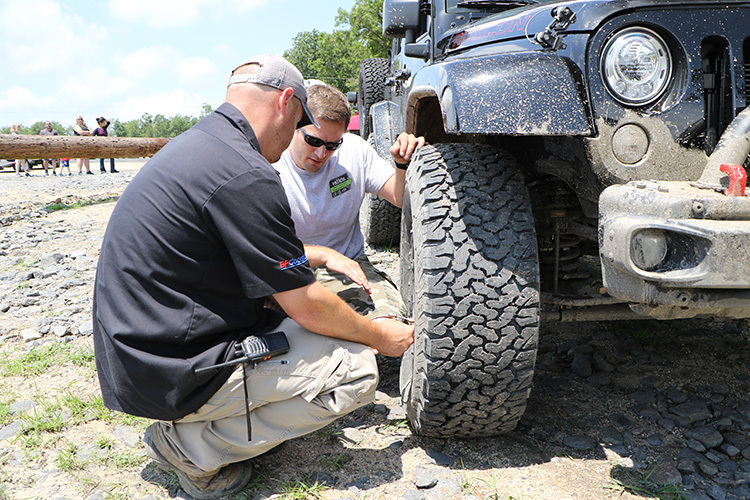 In addition to driving techniques, Off-Road Consulting covers vehicle prep for the trail, including how to air down tires to improve traction. Overlanding is growing in popularity here in the U.S., and with it comes some confusion as to how it differs from more traditional forms of off-roading. The main difference is intent and duration. The “and more” includes logistical planning, vehicle prep for extended off-highway travel, field repair, communications, medical training, even people skills like cultural awareness, “so you don’t run into problems at a border crossing because you’re loud and obnoxious,” says OEX. 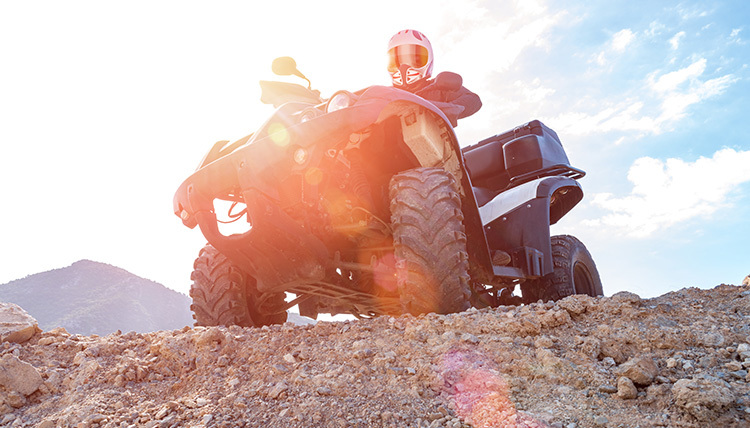 The Off-Road Experience holds its day-long classes in the Fernley, Nevada, area near Reno. The Level 1 class teaches vehicle basics (approach/departure/breakover angles, ground clearance, axle articulation) and driving tips, while the Level 2 class ups the wheel time and the terrain difficulty. At Level 3, students choose the ground they want to cover (literally) and get into map reading and GPS navigation. Navigation is among the specialized classes offered, as is winching and recovery, and rally driving. Students can apply all of those skills during The Nevada Trophy, an annual challenge put on by The Off-Road Experience that combines off-road driving, geo-caching (finding waypoints in the desert using GPS), and tasks that include shooting, vehicle recovery and more. 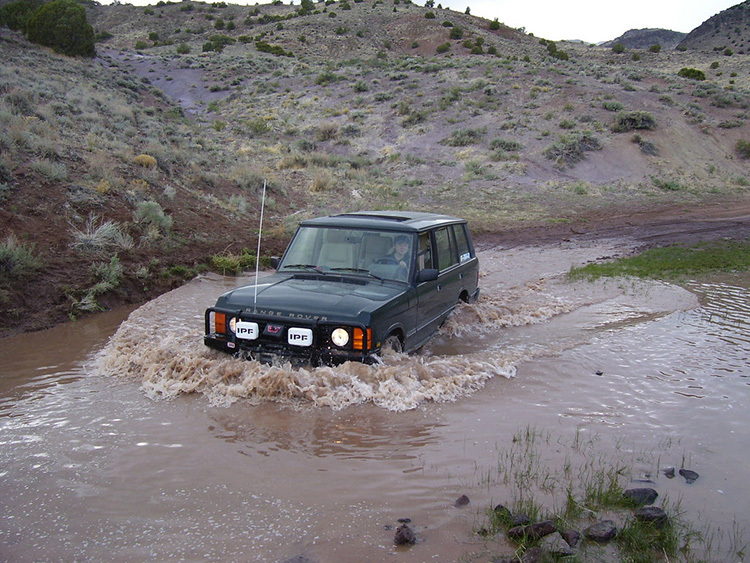 A flash flood provides an unexpected—but important—driving lesson during a class at The Off-Road Experience in the northern Nevada desert. The primary clients for Overland Experts are members of the military Special Forces, search-and-rescue teams, geological survey companies, even humanitarian aid agencies—people who drive off-road professionally. But OEX also offers recreational 4x4 training. Its classes, on large tracts of private land in Connecticut, North Carolina and Virginia, fall into two categories: 4x4 and off-road driving, and overland training. Students may use their own vehicle, one of OEX’s 4x4s, or both. Most OEX sessions are done as private classes, with client groups setting up the dates, class size and location. (OEX trainers will travel and teach outside of their facilities.) Its North Carolina location also has regularly scheduled training modules, which consist of day-long classes that range from off-roading fundamentals to field repair. Ford’s F-150 Raptor is the closest thing to a desert race truck you can buy off the showroom floor, and Ford has developed the Raptor Assault as a free-of-charge driver training program for owners of 2017 and 2018 Raptors. Classes are held at the Ford Performance Racing School in Utah’s Tooele Valley (about 25 miles from Salt Lake City), which offers rock, clay and sand to test the Raptor’s mettle. Day-long instruction covers off-roading fundamentals with an eye to the Raptor’s unique features, including how to make the most of its six driving modes. Because the FPRS is a multi-use facility, Raptor Assault students have the option of adding a second day to drive a Mustang GT on the school’s racetrack.